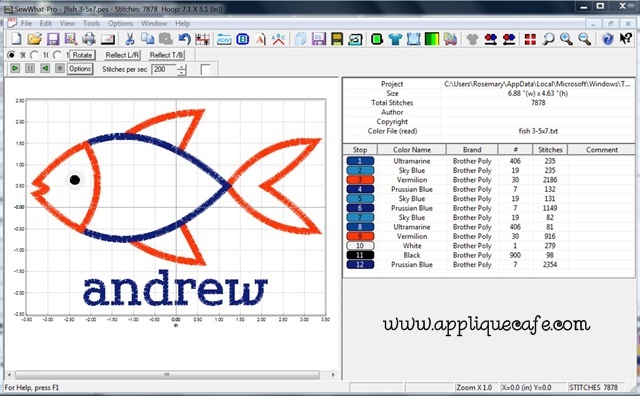 It turns out I had something LIKE this that I’ve used before, mostly on sweatshirts. The friend who recommended this also said she “floats” a piece of tearaway underneath which I forgot to do, but I still got good results. Here is a pic of it on the inside of my shirt. I used it like I use any cutaway and “stuck” it to the shirt with my Sulky KK2000 temporary spray adhesive before I get it hooped. 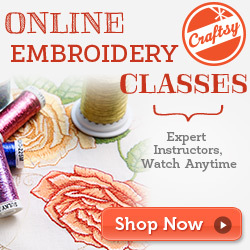 Here is the finished shirt, and it looks like any other applique I have done. 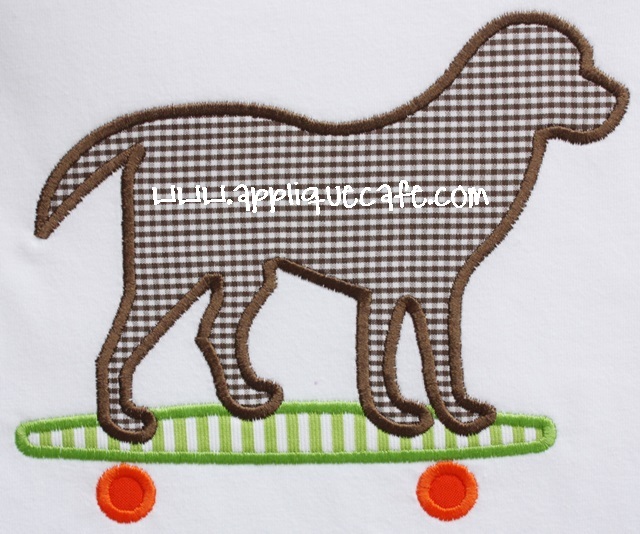 I will say… the brown gingham dog fabric was a little “bubblier” than I find when using my medium cutaway, but I was able to squirt some water on it with my iron and iron it really well and the Heat N Bond Lite worked and it turned out just fine. So… not sure I am making a drastic switch over to this new cutaway, but I did like it and will try it again (and try floating tearaway underneath for a little added support). 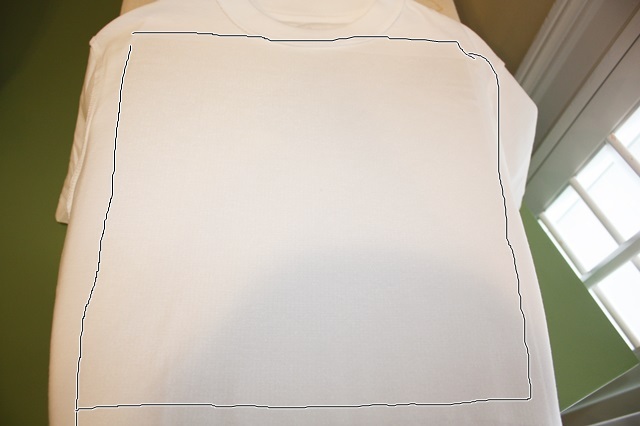 I think the idea of this “no show mesh” is that it’s a lot thinner than medium cutaway so it doesn’t “show” on the shirt, which I don’t have a problem with. Some people say you can see the stabilizer around the design, but I’ve been using it for years and have never had anyone complain nor has it ever bothered me. But, if that is something that concerns you then you might give this a try! 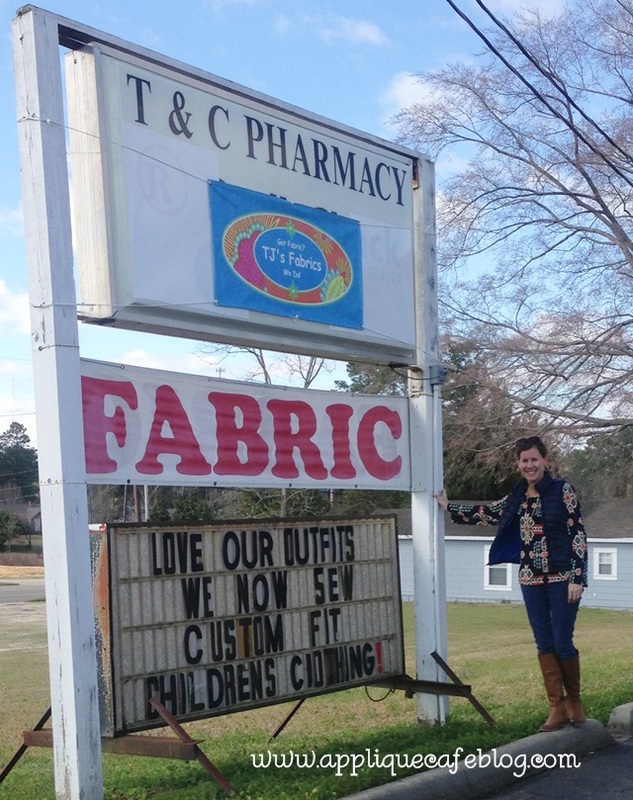 The moral of the story… try new things! You have to figure out what works best for you! Just because I use and love medium cutaway (which I am completely out of BTW…) doesn’t mean you have to! 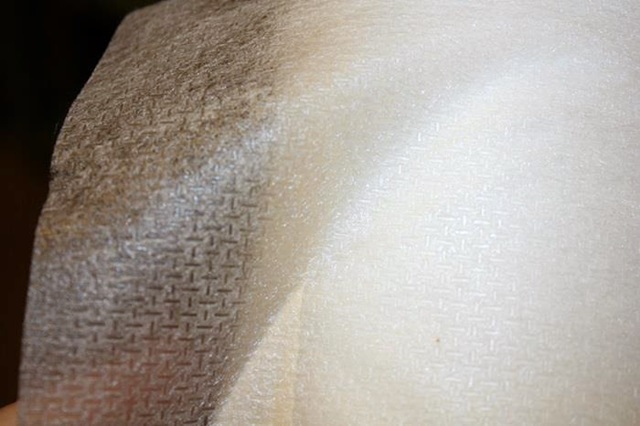 I have a whole roll of this no show mesh, so I will try it some more for sure! 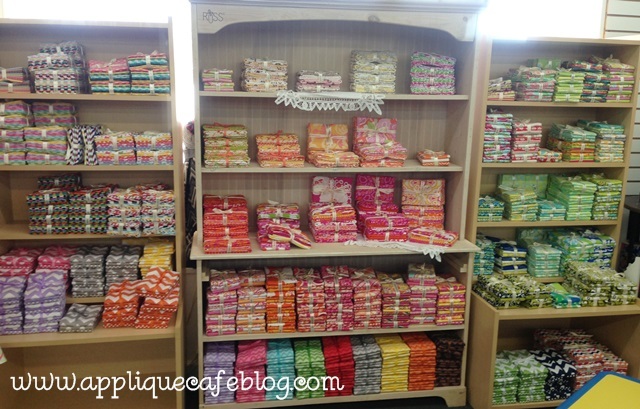 I always LOOOOVVVEEEEEE…. 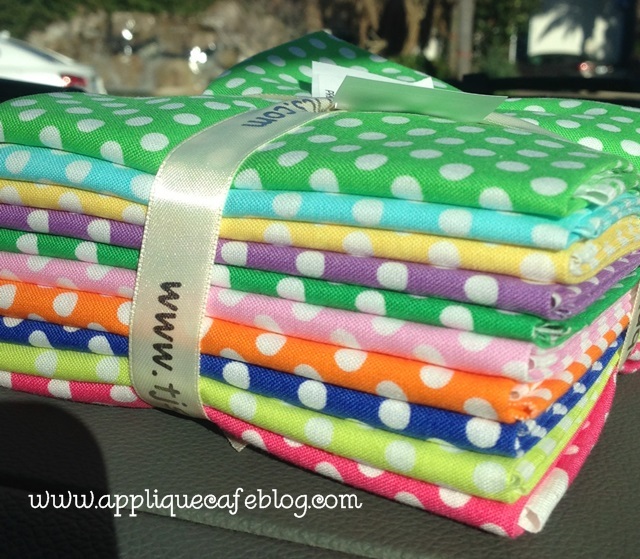 opening a box from my doorstep from TJ’s Fabrics! A funny side story… when we got home around 2:20 from all the running around and carpools, we noticed the doorbell was ringing. It kept ringing, and ringing, and ringing. I ran to the front door to see who was there, and all I found was the TJ’s package! Evidently the mail-person left it for me and rang the doorbell. The doorbell got stuck and rang and rang and rang until we got home! Good thing we don’t have a dog or else it might have gone crazy!! 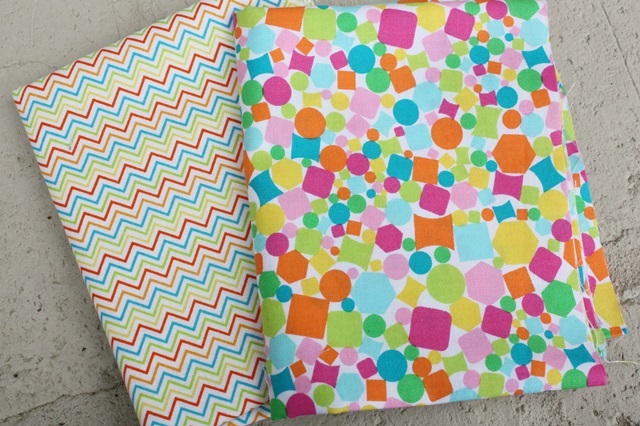 Now on to fabric… I saw these “mini” chevrons the other day on TJ’s Facebook page and knew I had to have some! 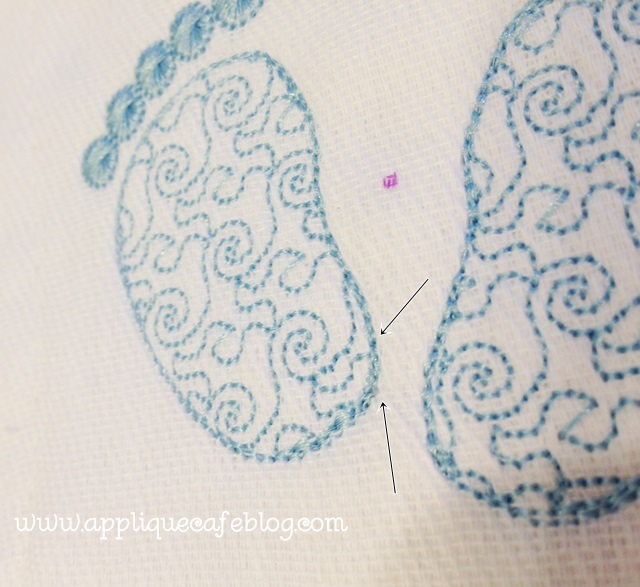 I always tell people that in applique, you are dealing with such tiny spaces so small prints are GREAT! 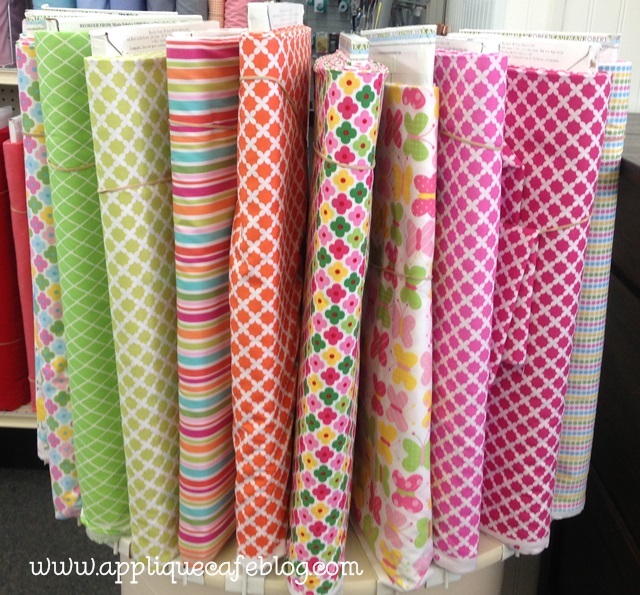 The top left one looks PERFECT for patriotic designs. 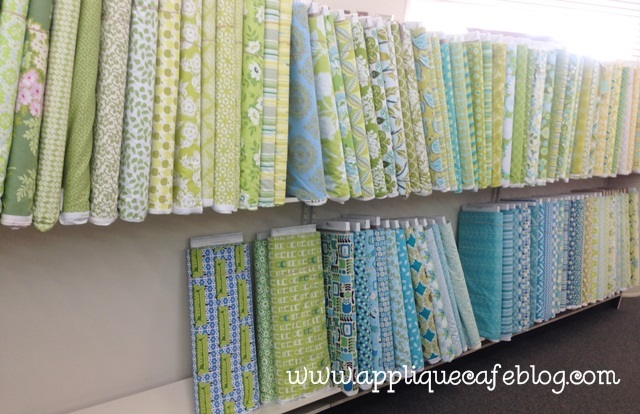 Top right – great spring colors – lime, turq., yellow, orange. 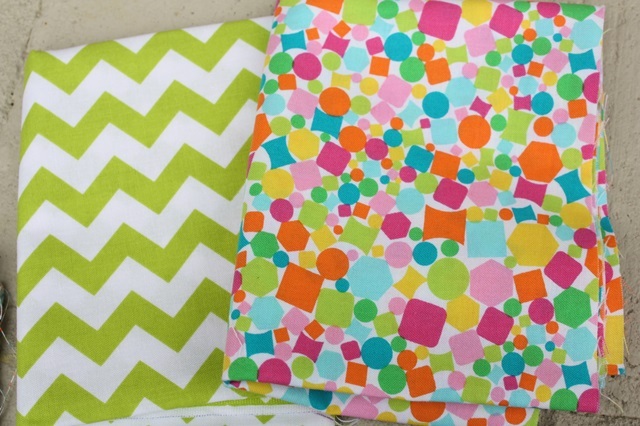 The bottom one is a few shades of pink and lime/green. LOVE LOVE LOVE!! Great job Timeless Treasures!! 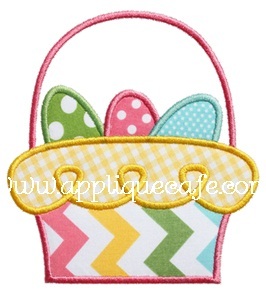 These are “mini chevron stripe”. 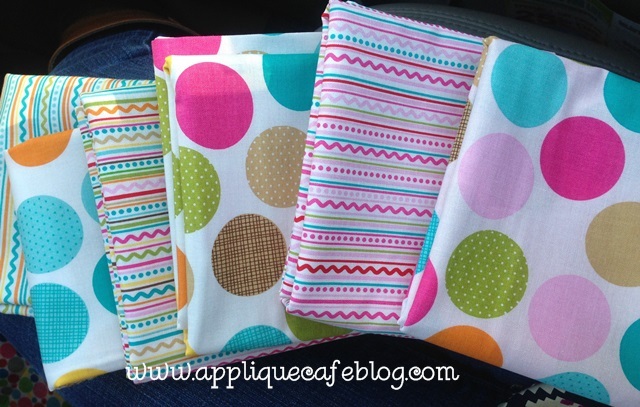 Love these 2 together ~ Timeless Treasures Small Geometric Multi on the right. 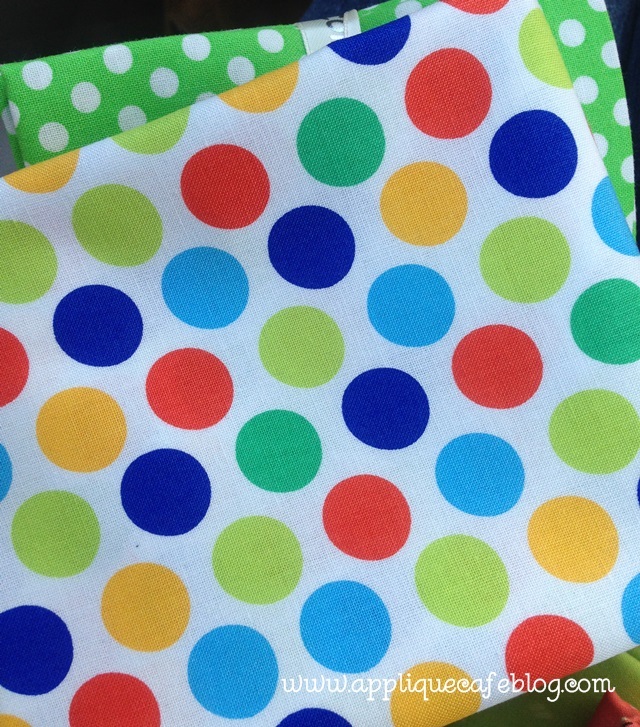 Fun colors for summer! 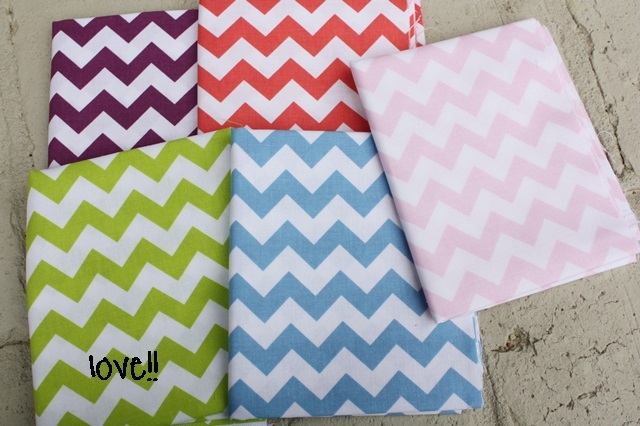 Here are some new Riley Blake chevrons in some great new colors! A-D-O-R-E the lime green. 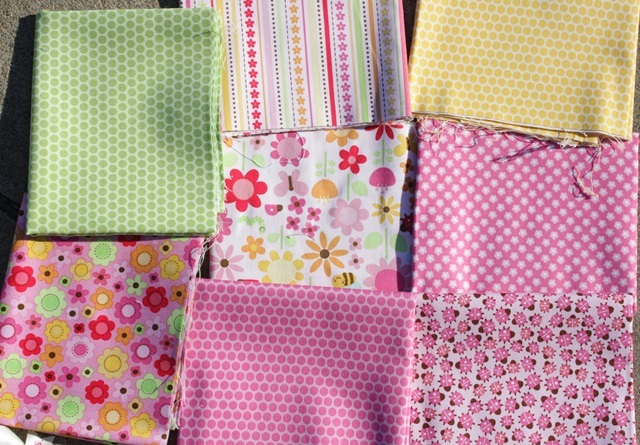 Top left is purple, then orange, lime, blue and baby pink. I really like this lime and blue color! These 2 look great together too! 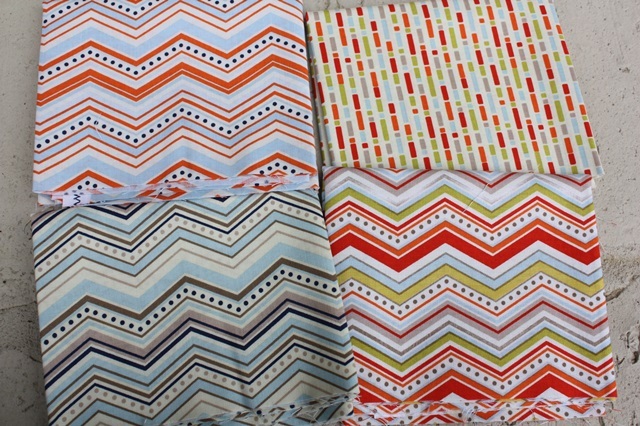 More chevrons ~ these are also Riley Blake. The top left one would be great for Auburn fans! This group is called “One for the Boys” and I love all of the colors! 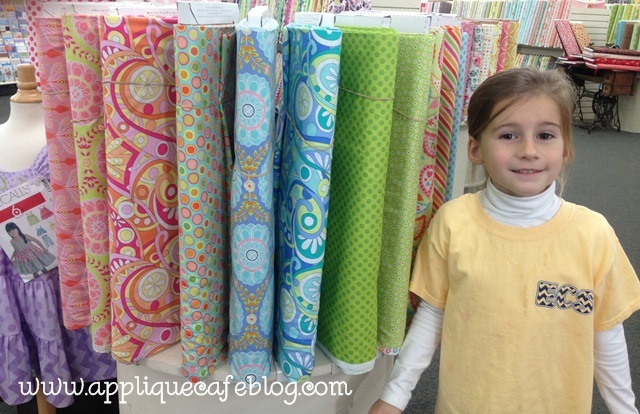 I think if I didn’t get to designs appliques, I would love to design fabric!! 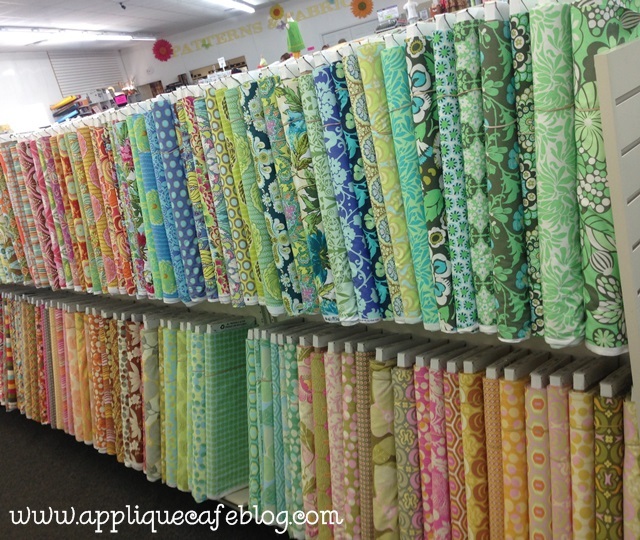 All of these make me want to sew something! How about you? 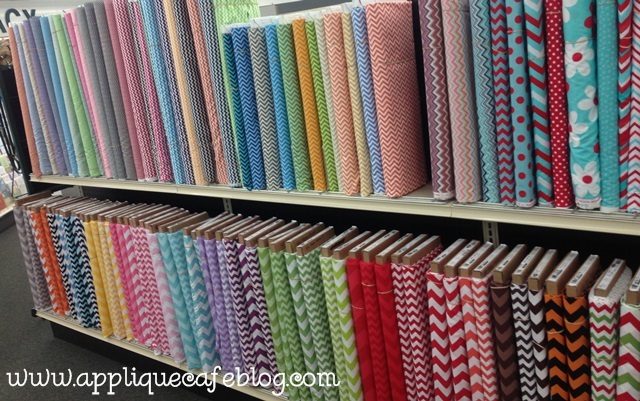 Check them all out at TJ’s Fabrics! I have been MIA for about a month! So sorry!! Such is life with 3 kids in the Springtime! There is never enough time in the day blah blah blah you know what I’m talking about. 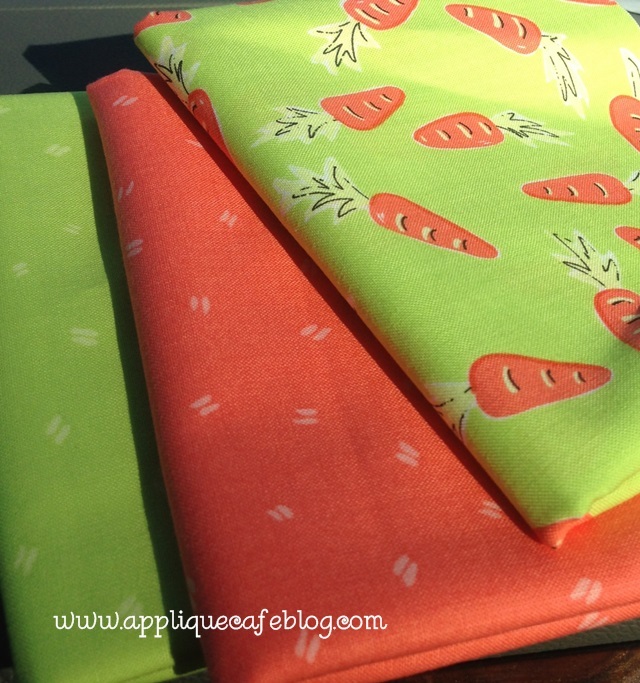 I wanted to show you some new SPRING fabric that I got from TJs Fabrics. 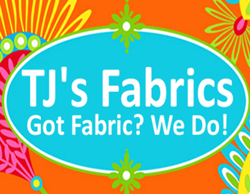 If you are planning a beach trip this spring or summer, get your GPS out and find TJs. If you travel to Destin or Panama City Beach, it might be doable depending on where you are coming from. Any detour will be well worth it! 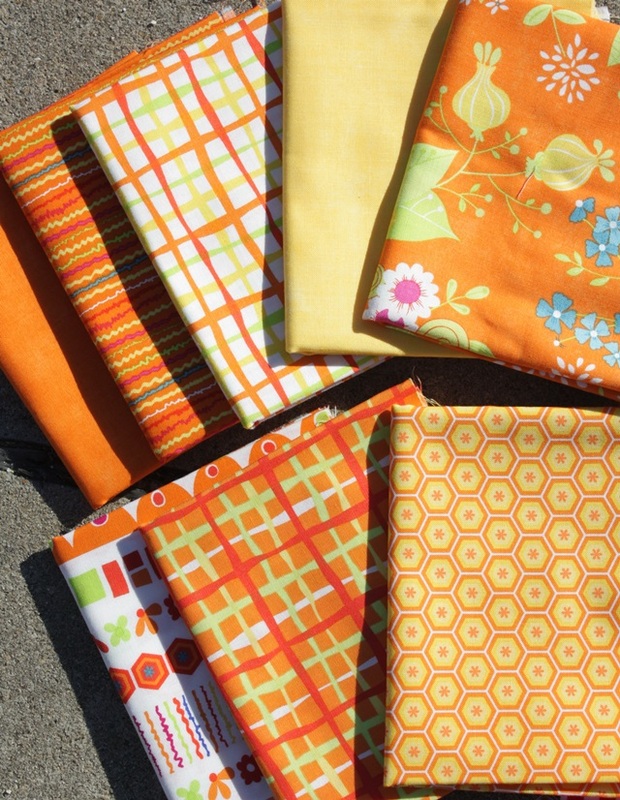 This first bundle is by Snap Pop by Sandy Gervais for MODA. I am a sucker for anything ORANGE!! Can’t wait to use these!! These below are Riley Blake Ladybug Garden. LOVE LOVE the ladybugs!! I am also a sucker for GREEN & PINK! 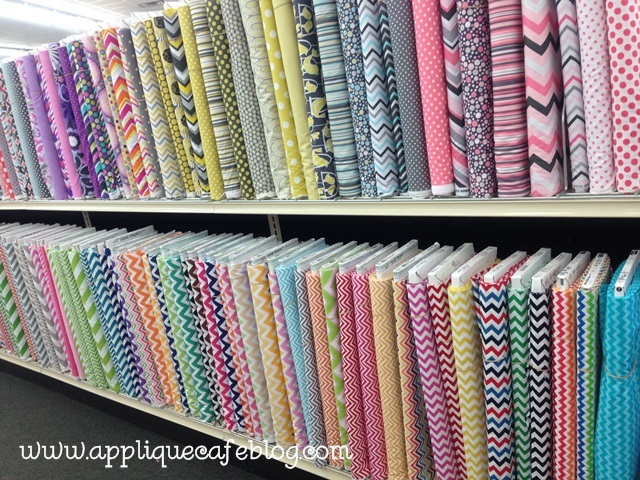 Chevrons…. Oh how I love thee….. These are all Riley Blake also. 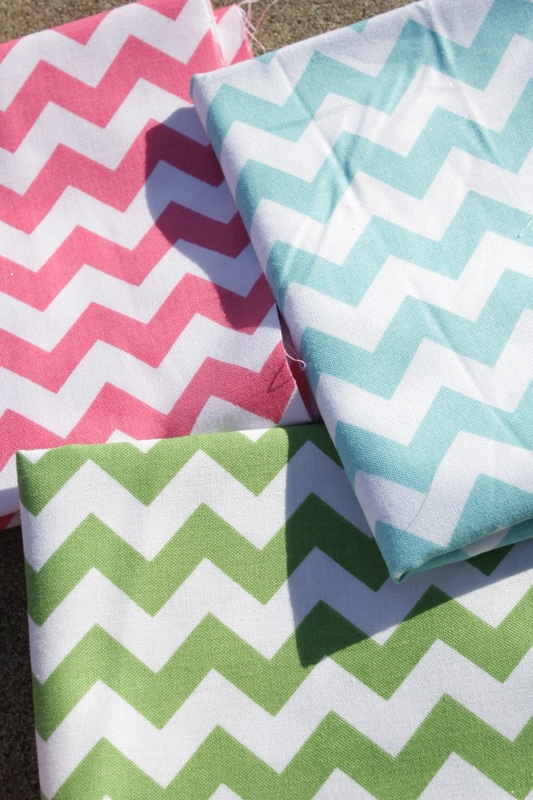 These are medium and small chevrons and in case you’ve been under a rock for the past year, chevrons are THE BOMB right now. 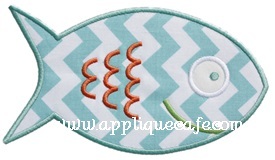 You can use them horizontally, and I have used them a couple of times vertically (see Fish 2 and Loopy Easter Basket designs below this pic). How about some GINGHAMS to go with the CHEVRONS??? 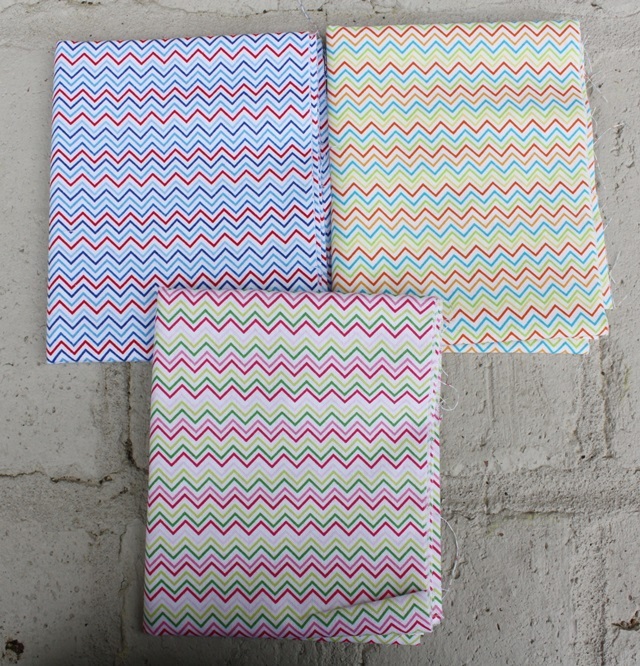 These are Riley Blake also and they match the chevrons perfectly!!! 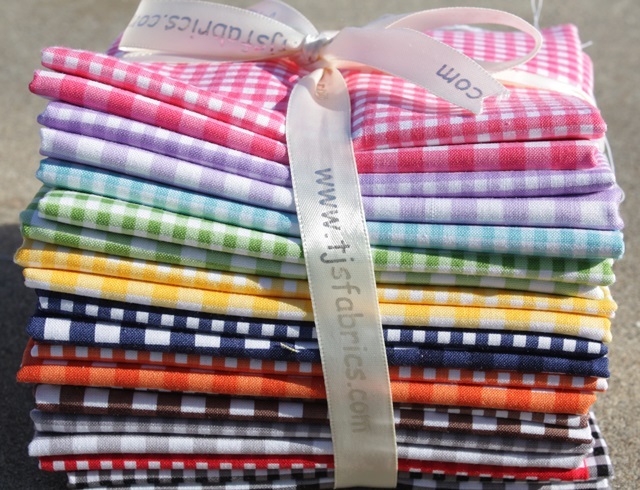 If you have seen my website, you know I use gingham A LOT. 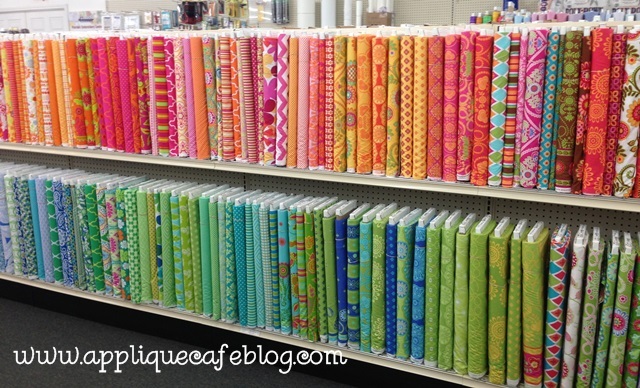 I absolutely love all of these colors also! 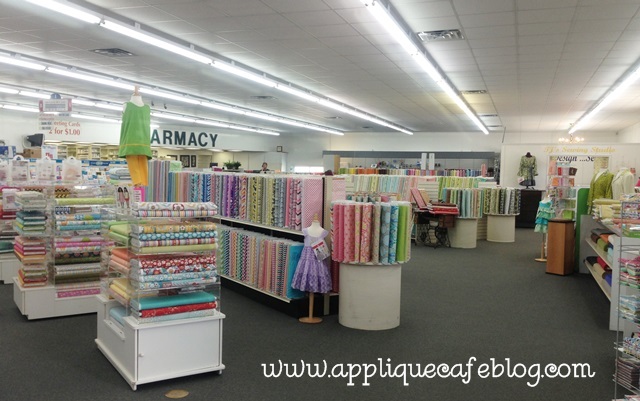 TJ’s Fabrics will be at the Everything Applique Conference this year, and BTW early registration ends this Saturday, March 16th. The early bird price is $119 and will go up to $149 on Sunday! So far they have surpassed last year’s registration numbers and are super excited about all of the vendors and folks who will be there!! Check out the website for all of the details and to register! Have you noticed all of the new BLANKS websites popping up lately? 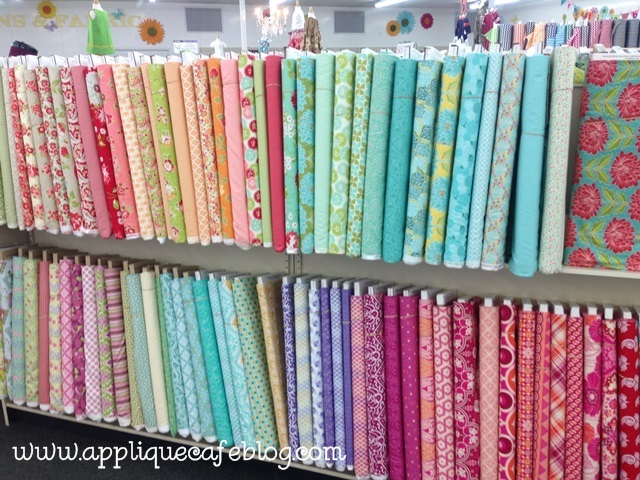 I think it’s super exciting to see so many new options and what they are offering! Which reminds me I need to update my LINKS on my blog… Below are a couple of items from Drawing a Blank. 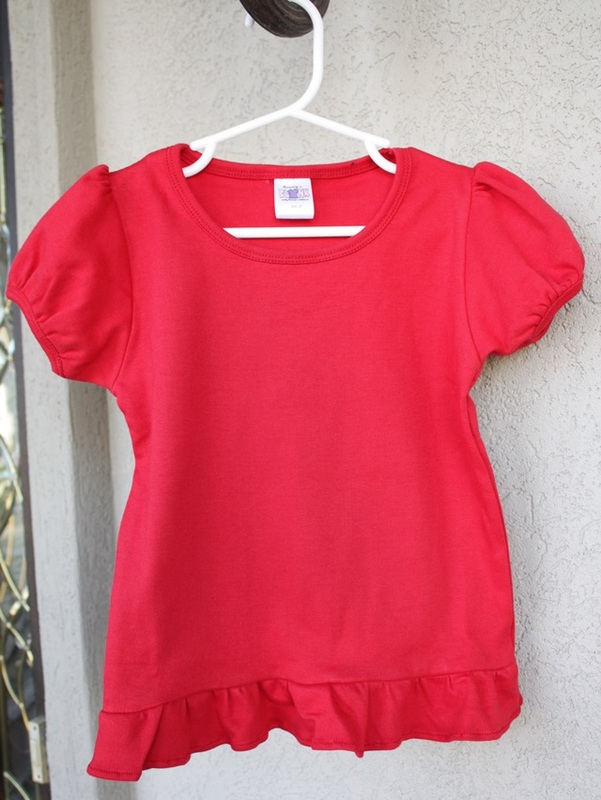 This is a size 4T red Puff Sleeve Shirt. They also come in white and pink and go up to a size 6. 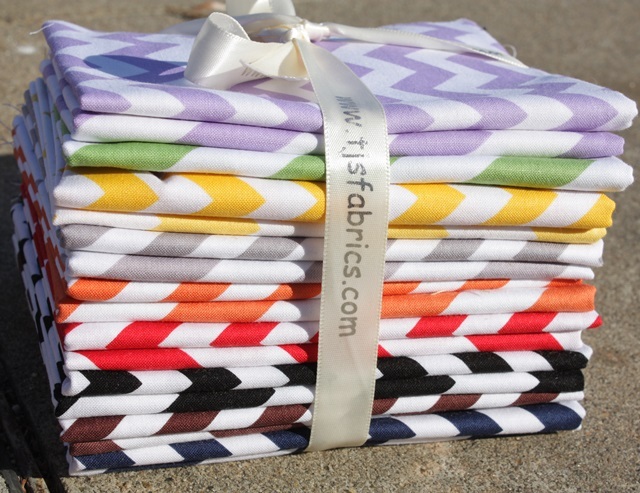 DABlanks items are 100% interlock cotton which is thick and very soft. 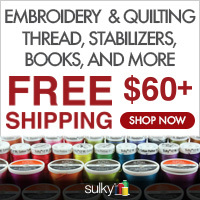 Inventory is in stock and ships in 24 hours. You can also find DABlanks on Facebook! I have not had a chance to stitch anything out on these yet but am seeing something with turquoise on this red tee for summer….. 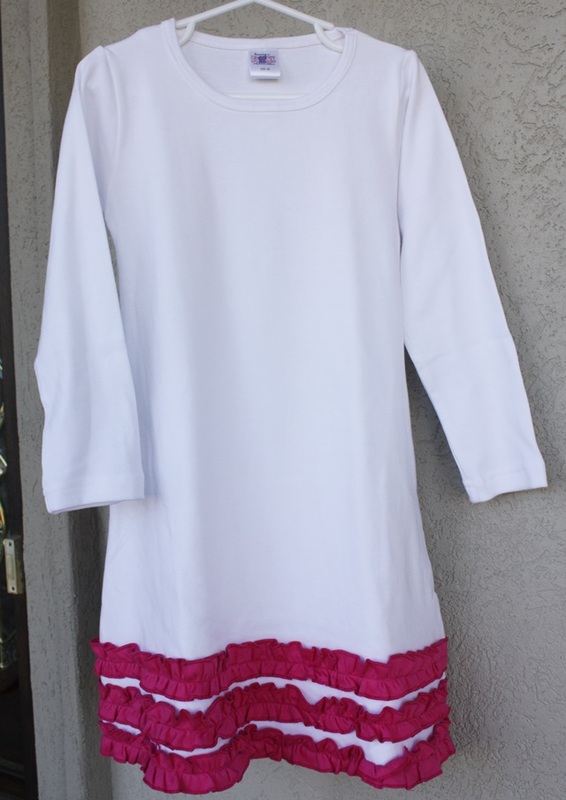 I also have this cute long sleeved white dress with pink ruffle. 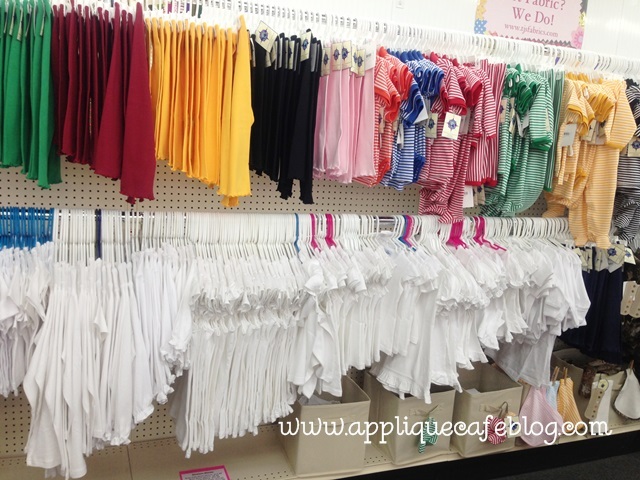 They also have different colors, solid pink, black and white with no ruffle and short sleeve options (with the ruffles). This is a size 4/5 and seems very generous. I think this would be great at the beach at night when it can be a bit cool. This photo was taken on my covered porch but below is another picture which shows the bright pink! Sissy is holding it up so you can kind of see the sizing. 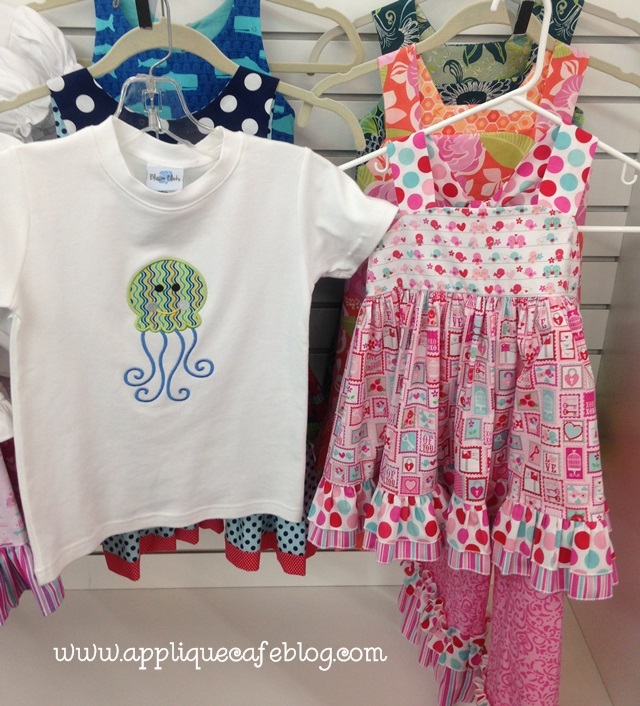 She just turned 5 and wears a 5T and this will fit her perfectly! Be sure to check out Drawing a Blank! 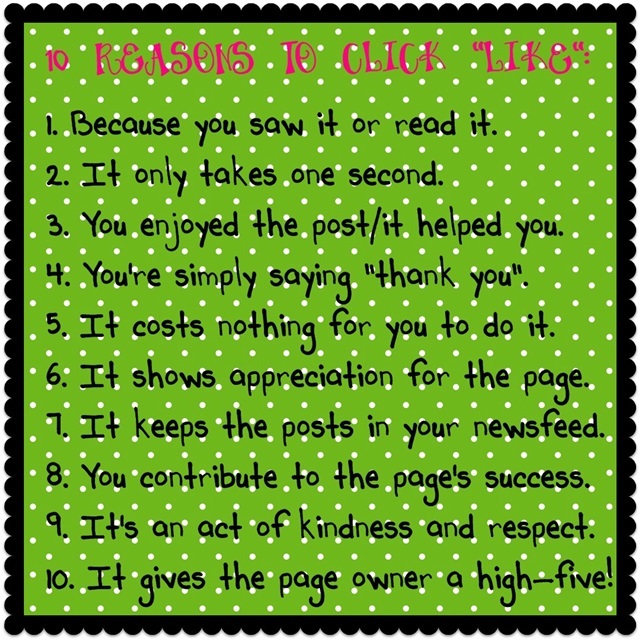 I will add them to my LINKS list as well! 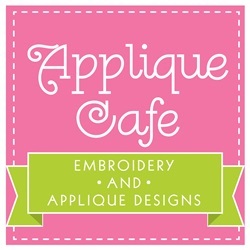 I just listed 5 new designs today at Applique Cafe, and Easter Designs are ON SALE! Have a great weekend! !